The importance of generators is often disregarded until you need one. Electricity has become an important need for everybody. Since the day electric was invented, nobody has to look back when things have to be done manually and candles are used to illuminate the evenings. But the advancement of technology has also bought a negative effect such as power shortage. Because of too many electricity consumers, the supply of electrical power has also increased. A power outage can be debilitating not only to homeowners but much more to businessmen. Which is why residences and establishments have already purchased generators. There are 2 major types of generator. First is the stationary generator and the second is the portable generator. 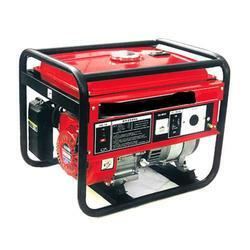 If you are planning to purchase a generator, what should you buy? Stationary vs portable generator, which is better than the other? Stationary or standby generators are permanently installed generators. They are usually big equipment placed outside a house or an establishment and could generate a bigger wattage. One of the many advantages of a stationary generator is that when the power cuts it automatically generates electric power that can light up your whole house for days. On the other hand, the major setback for stationary generators is the price. Because of its size and power, purchasing one can cause you a fortune. Furthermore, to keep it running for days, it will consume a lot of fuel thus you have to prepare your wallet for the worst. Lastly, all equipment needs to be maintained in order to reach its maximum performance. It is not all the time that the generator is used which is why it needs to be checked more often. Unlike the stationary generator, this generator is compact and handy. All the parts in a standby generator are inside this one only that they are smaller. And because they are small, it is then to be expected that the generated power is not the same as the other. Typically, the portable generator is used as a backup source of energy. if you want a generator to be used for a longer period of time, the portable generator is not the one for you as it can only supply energy for up to 12 hours. After all that is said and done, the decision as to which one to buy will depend on you and your needs. If you need bigger wattage, you have to shell out a substantial amount of money otherwise you can settle with the portable one.